Boasting free WiFi, an outdoor swimming pool and free on-site parking, Thornton Lodge Motel is ideally located for trout fishing in the nearby rivers. All accommodations features a flat-screen TV with satellite channel, a refrigerator and tea/coffee making facilities. 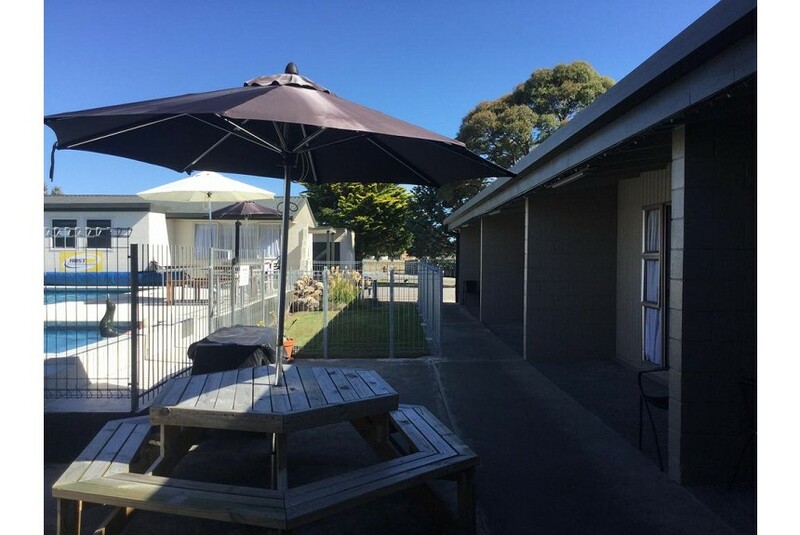 Located in Hatuma, next to the Waipukurau Airdrome, Thornton Lodge is 2 minutes' drive from Waipukurau's shops and services. All accommodations offers garden or pool views, a dining area and a work desk. Some accommodations offer a fully equipped kitchen or kitchenette. You can enjoy an outdoor meal in the BBQ area, surrounded by gardens. This property also has one of the top-rated locations in Hatuma! Guests are happier about it compared to other properties in the area. This property is also rated for the best value in Hatuma! Guests are getting more for their money when compared to other properties in this city.